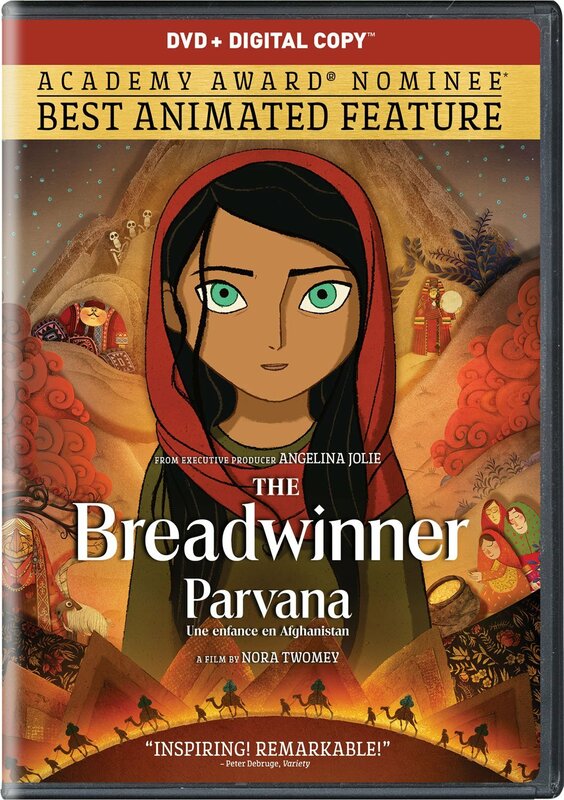 Nominated for Best Animated Feature at the Oscars, The Breadwinner follows an 11-year-old girl in Afghanistan named Parvana (Saara Chaudry). When her father (Ali Badshah) is taken by the Taliban, she has to cut her hair and start passing herself off as a boy, so that she can get work to provide for her family, and hopefully reunite with her father. The film is now available on DVD. Based on the children’s novel of the same name by Canadian author Deborah Ellis, The Breadwinner is a timely and moving tale for both kids and adults, that masterfully uses its stylized animation to tell a deceptively simple yet incredibly powerful female empowerment story. For more on the film itself, you can read my full review right here. The DVD also includes a short introduction by director Nora Twomey and executive producer Angelina Jolie, as well as a commentary track with the filmmakers, and four featurettes. Animating the Film offers an interesting glimpse into how they created the unique look of the film; Behind the Scenes With the Cast features the actors talking about bringing their characters to life; Creating the Music and Sound has composers Jeff and Mychael Danna talking about their approach to scoring the film; and Telling the Story focuses on how the efforts that were made to make the film culturally appropriate to Afghanistan. TheBreadwinner is an Elevation Pictures release. It’s 93 minutes and rated PG.